#DiskarteNaMayArte moms know Summer is the best season to grill meats and fish out in the open, make vibrant salads with fresh fruits and greens or pop a quick treat in the oven. Here are five easy-to-make recipes to get your family and friends in that no-stress summer vibe. All of these recipes require less than an hour of prepping and cooking combined, and the ingredients are all available at your local grocery or market suki. 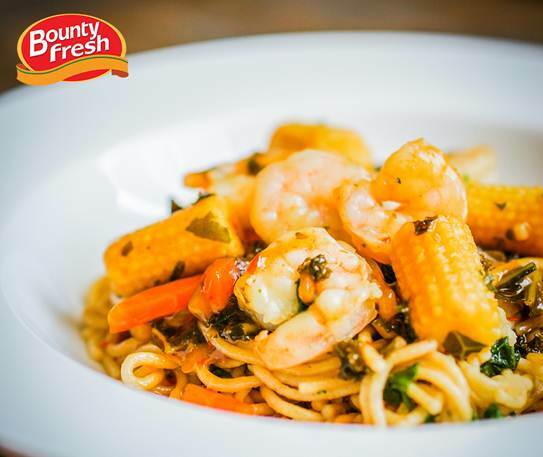 Don't forget to use #BountyFresh chicken for the chicken dishes below—only the best from your kitchen and on your table. 2 One minute before the pasta is finished cooking, add peas. Reserve 1 cup pasta water, then drain pasta and peas and return to pot. 3 In a large nonstick skillet, heat 2 tablespoons of oil over medium-high heat. 4 Add chicken and season generously with salt and pepper. 5 Cook for 6 to 8 minutes turning once, until cooked through. Transfer to a plate. 6 Return skillet to medium-high heat and heat remaining tablespoon of oil. 7 Add mushrooms and season with salt and pepper. 8 Cook for 3 to 4 minutes stirring occasionally, until golden brown and cooked through. 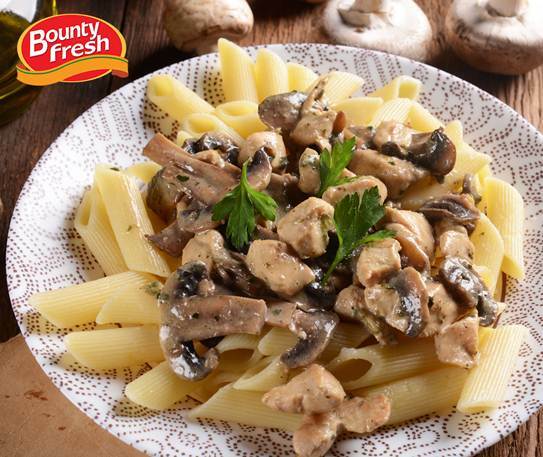 9 Add chicken, mushrooms, Parmesan, and ½ cup pasta water to pasta and toss to combine. 1 In a food processor, combine boneless chicken breast, onion, capers, garlic, and 1 tablespoon kalamansi juice, and pulse several times to combine. 2 Add egg white and breadcrumbs and pulse until combined. Transfer to a bowl. 3 Divide chicken mixture into 8 patties. 4 In a small bowl, whisk together yogurt with remaining kalamansi juice. 5 Season with salt and pepper. Chill until ready to use. 6 In a large bowl, whisk together vinegar and olive oil. 7 Add cucumber and onion and toss gently to combine. 8 Season patties with salt and pepper. 9 Heat a lightly oiled nonstick skillet over medium-high heat. 10 Cook patties for 2 to 3 minutes until golden and cooked through. 11 Serve chicken cakes with cucumber salad, yogurt dip, and lemon wedges. 1 Cook rice. Fluff with fork. Garnish with sesame seeds. 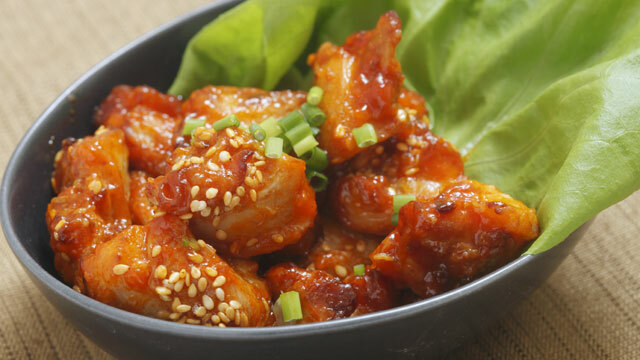 2 To make marinade, combine: ½ cup soy sauce, 2 tablespoon sesame oil, rice wine vinegar, 2 tablespoon Sriracha, honey, 4 cloves garlic, ginger, and oil in a large bowl. 3 Pour half the sauce into a smaller bowl and set aside. 4 Add chicken breast and let sit 10 minutes. 5 For cucumber salad, whisk together rice wine vinegar, remaining tablespoon soy sauce, remaining tablespoon Sriracha, remaining tablespoon sesame oil, sugar, remaining garlic, and red pepper flakes in a large bowl. 6 Stir in cucumbers and season with salt and pepper. 7 Heat a grill or grill pan. Season chicken breast with salt and pepper and grill 5 to 6 minutes per side until cooked through. 8 Transfer to a cutting board and let rest 5 minutes, then slice thinly across the grain. 9 Pour juices into small bowl of remaining sauce, stirring to combine. 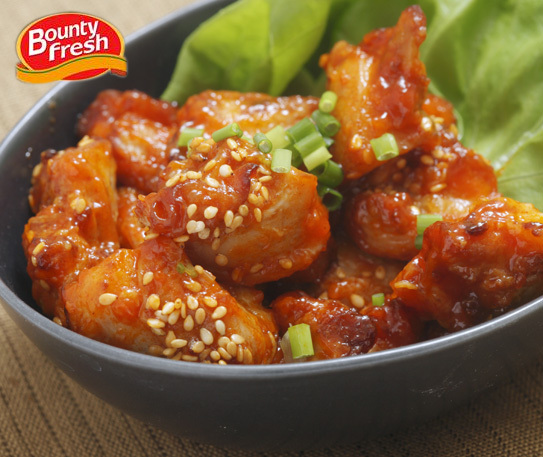 10 Serve chicken drizzled with sauce and garnished with spring onion. 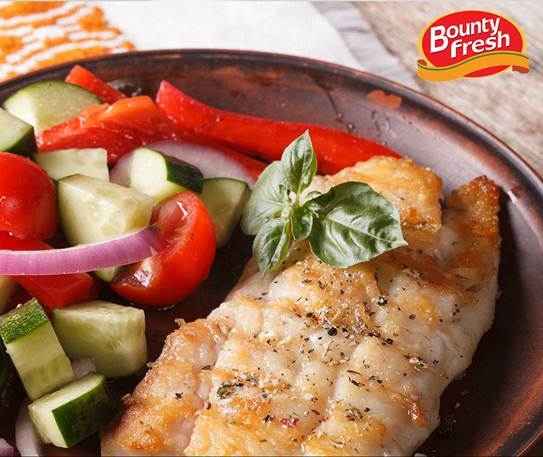 11 Serve alongside rice and cucumber salad. 1 Preheat oven to 450 degrees Fahrenheit. 2 Line a small metal baking dish with oil. 3 In medium bowl, combine chicken, egg, garlic, salt, pepper, crushed red pepper flakes, breadcrumbs, and parsley. 4 Divide mixture into 8 meatballs and place close together in baking dish. Bake 12 minutes. 5 Pour sauce over meatballs, then return to oven for 3 minutes more, until sauce is heated through. 6 Heat remaining 1 tablespoon olive oil in a large skillet. 7 Sauté spinach for 2 minutes or until wilted. 8 Season with kalamansi juice, salt and pepper. 9 Slice pandesal buns. Heat. 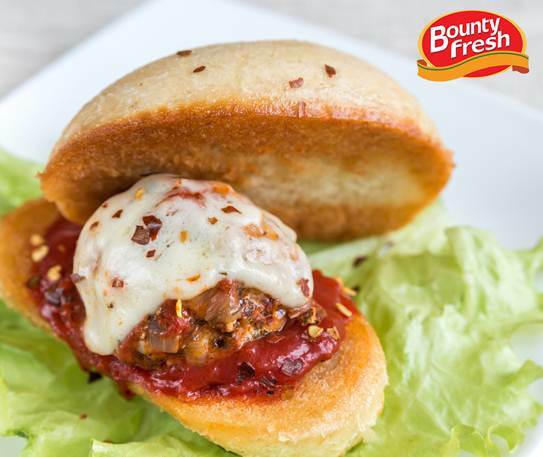 10 Make mini-burgers by placing meatballs on the pandesal. Top with cheese and sautéed spinach. 1 Bring a large pot of salted water to a boil. Cook pasta according to package directions. Set aside 1 cup pasta water, then drain and return pasta to pot. 2 Heat 2 tablespoons butter in a large skillet over medium heat. 3 Add scallion whites and season with salt and pepper. 4 Cook for 3 to 4 minutes stirring frequently, until scallions are just tender. 5 Add corn and leftover grilled chicken, toss for about 2 to 3 minutes. 6 Add pasta, ½ cup pasta water, and remaining 2 tablespoons butter to pan and toss to combine. 7 Add additional water to loosen the sauce, if necessary. 8 Fold in scallion greens and parsley. 9 Top with Quesong puti and more parsley.